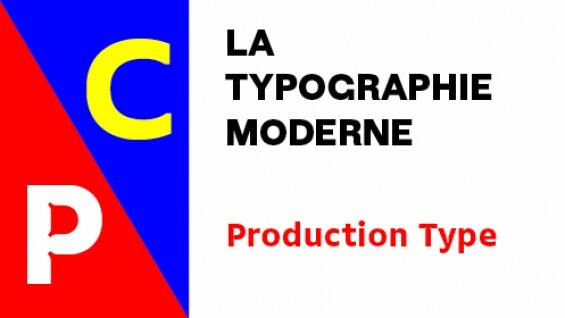 In a free, public lecture especially aimed at students, "La typographie moderne" develops the views that animate the design practice of Jean-Baptiste Levée, both in the teaching field and the professional field. From down-to-earth parameters to higher moral considerations, Levée uses several recent case studies and analyzes its own business model. During this overview of references, inspiration sources and work methods displayed through recent projects, one will try to bust a few myths on the way. Registration is required. Jean-Baptiste Levée works methodically in a process where history and technology are approached altogether within the nuances of artistry. He manufactures functional, yet versatile digital platforms for designers to build upon. Levée has designed over a hundred typefaces for industry, moving pictures, fashion and publishing. His work has won multiple awards and has been shown internationally in group and solo shows. It is featured in the permanent collections of the French national library (BnF) and the National Center of arts (Cnap); of the Newberry Library in Chicago, and several printing museums in Europe. He is a board member and the country delegate for France at ATypI (Association Typographique Internationale). Levée curates exhibitions on typeface design, organizes research symposiums and teaches typeface design at the Amiens school of Arts & Design and at the University of Corte. He is a typography columnist and editor on Pointypo.com.